New Orleans is known for its music, food, and nightlife, but there is plenty to do for early risers. Each of us likes experiencing this great city differently. 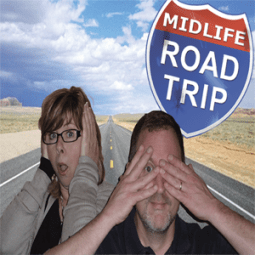 Rick is a southerner with a thirst for adventure while Sandi is a northerner who leans towards leisure. Here’s a look at how each of us recommends you experience mornings in New Orleans. His Way: After a big night on Bourbon Street, I advise waking up to a strong cup of coffee from the famous Cafe du Monde in the French Quarter. They have been serving up dark roasted coffee and chicory to long lines of locals and tourists since 1862. The beignets are instantly addictive. It’s best to wear light colored clothes because you’re going to get powered sugar all over yourself. Her Way: Brennan’s has been in New Orleans since 1946 and breakfast there is more of an experience than a meal. Bow-tied waiters serve up dishes such as Bananas Foster, Oysters Benedict, and Brennan’s Original Eggs Hussarde, poached eggs atop Holland rusks and Canadian Bacon with Marchand de Vin and Hollandaise sauces. Even at breakfast, the menu suggests wine pairings with each dish. His Way: You can learn a lot about a place from those who have died. There are 42 cemeteries in New Orleans where pirates, politicians, voodoo queens, and others now reside. Row after row of ornate above-ground tombs and mausoleums make up these “Cities of the Dead,” where on guided tours you might hear personal stories about the deceased. Her Way: Rick took me kicking and screaming to a food store named Central Grocery, and said we had to get the muffuletta. The store was packed and the line spilled out onto the sidewalk. After 30 minutes we arrived at the deli counter and ordered these sandwiches. When the food arrived, we sat at a crowded table smack dab in the middle of the store and dug in. It was love at first bite. Rick was right. Now you’ve got to eat the sandwich for yourselves. His Way: N’awlins is not only a great food town, it’s a great walking town, which is a good thing because you’ll need to take a stroll to burn off the calories from the beignets (and booze). I suggest taking a few laps around Jackson Square and the St. Louis Cathedral. It’s the perfect place for people-watching with a multitude of street performers, musicians, and local artists displaying their work on the square’s iron fence. Her Way: If you love to eat and cook as much as I do, consider stirring the pot and take a cooking class. Classes are offered in a renovated molasses warehouse that also houses the Louisiana General Store. During these classes, you can learn to make cajun and creole favorites such as Gumbo, Jambalaya, Étouffée, and Pralines. The best part: lunch is included! Viewfinder Tip: Parking is scarce in New Orleans, so try to park the car at the hotel (or avoid renting a car all together). His Way: What I loved about the Prince Conti Hotel is that it is in the heart of the French Quarter, less than a block off of Bourbon Street and just a short walk to the business district. Since parking can sometimes be tricky in the French Quarter, it was nice to find a hotel within walking distance of just about anywhere I wanted to go. Her Way: The Historic Maison St. Charles in the Garden District is a great budget-friendly place to stay away from the hustle and bustle of Bourbon Street and the French Quarter. Five of the Maison St. Charles buildings were originally antebellum homes, but are now guest suites with high ceilings, parlors, and crystal chandeliers. Conveniently located on St. Charles Avenue, it is a leisurely 20 minute walk to Bourbon Street or you can hop on a streetcar that stops right out front of the hotel. A one way ticket on the streetcar costs $1.25 and it travels all the way to the edge of the French Quarter. What’s your ideal way to spend a vacation morning?